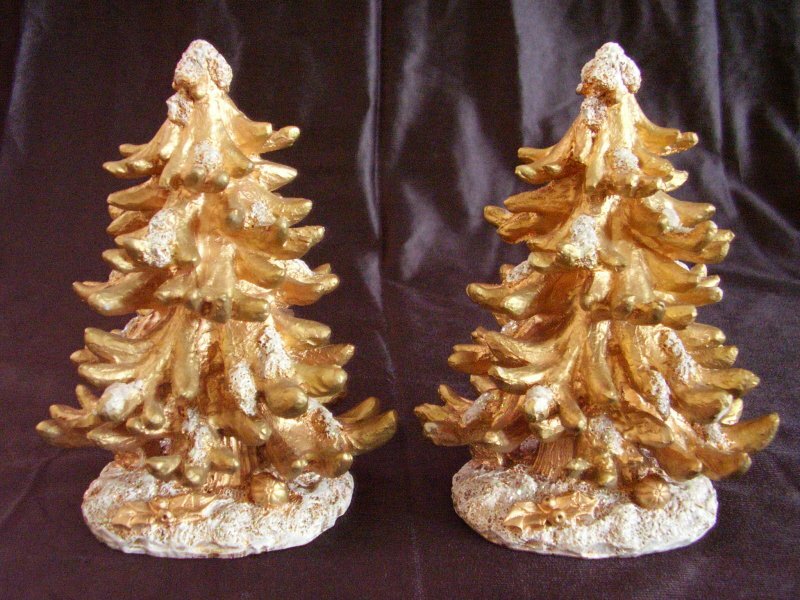 Lot of 2 Gold glittered Christmas trees. Appear to be made of resin. 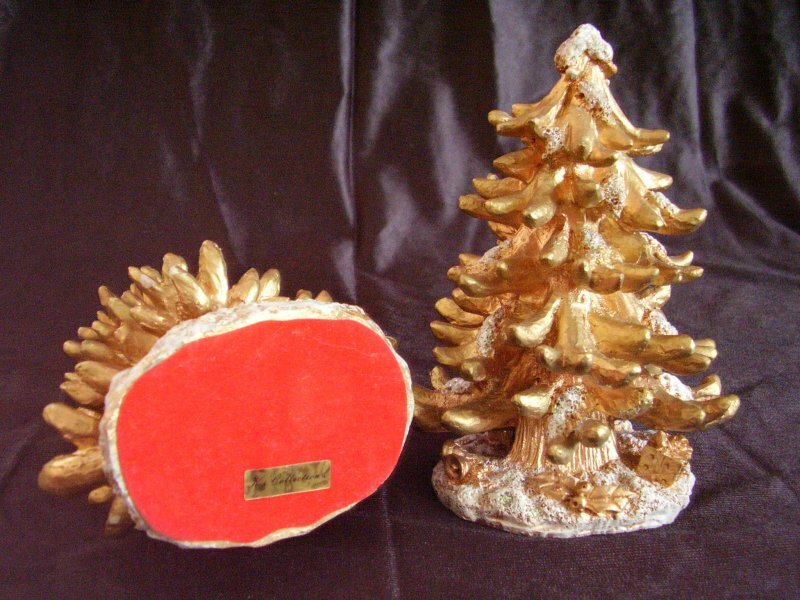 Each tree is gold with glitter and a white base. Bottom of base is covered with red felt and has a sticker that reads Ks Collection. 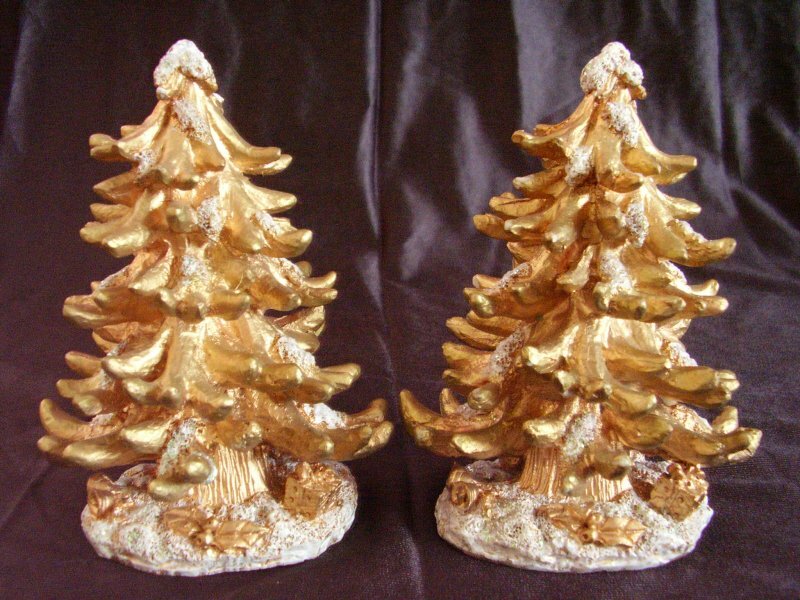 Lot of 2 Gold glittered Christmas trees. Appear to be made of resin. 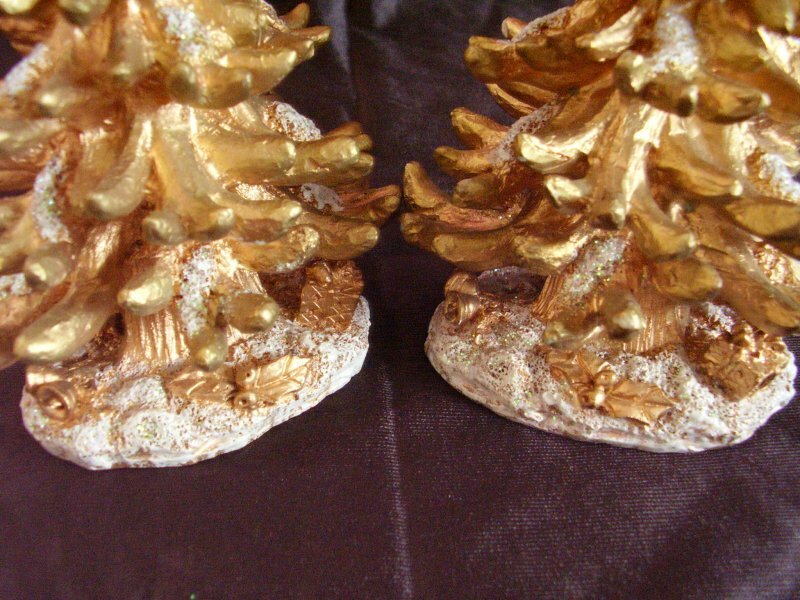 Each tree is gold with glitter and a white base. Bottom of base is covered with red felt and has a sticker that reads Ks Collection. Each tree measures 5 3/4 inches tall x 4 1/2 inches wide x 3 inches deep. In good gently used condition with no issues found. Perfect for use in Christmas villages, train set ups, mantle or table top.